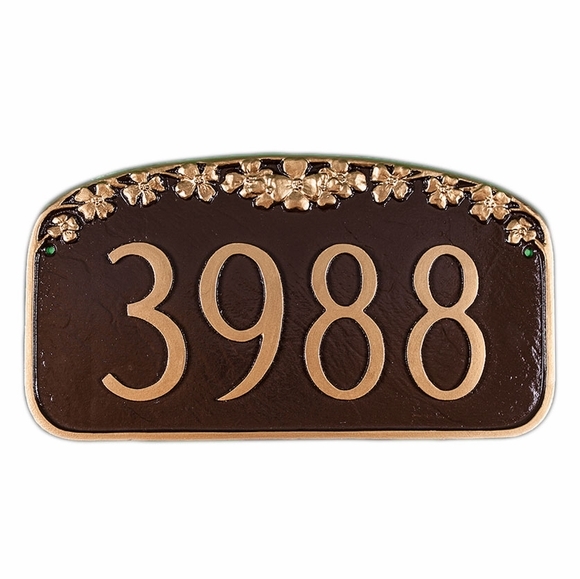 Personalized Dogwood House Number Sign - - one line nature theme address sign. A garland of dogwood blossoms accents the gently arched top. Made in USA. Can be purchased with or without two optional 24" lawn stakes.